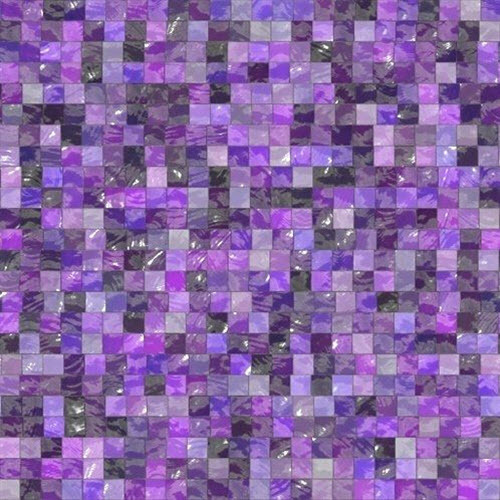 Purple unites red and blue color in itself. 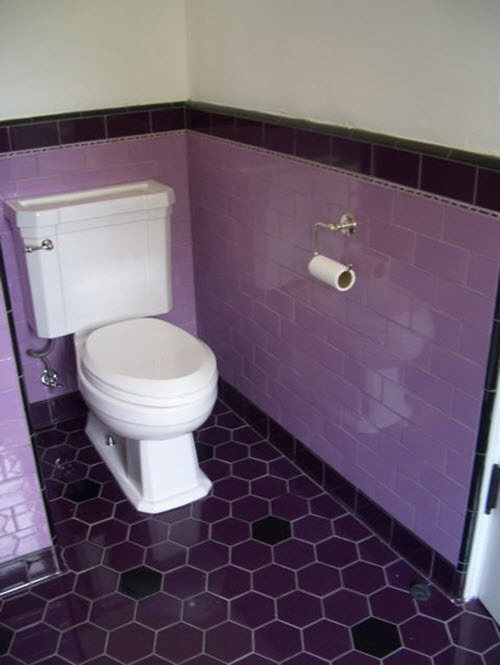 Purple color in interior design is rather unconventional choice. 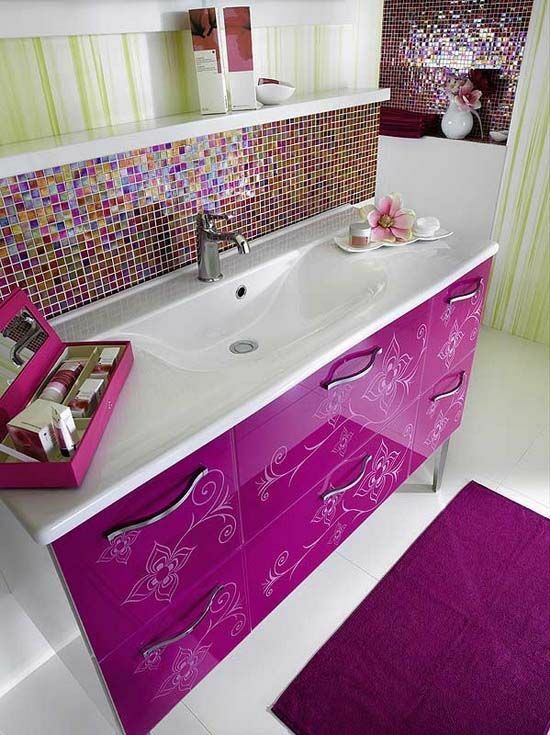 There are many prejudices against it: people think this color too cold and bright, especially for small spaces. 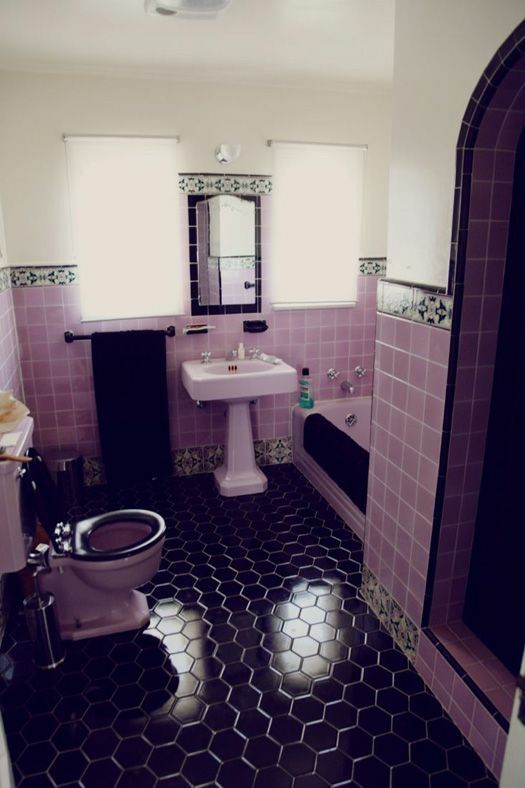 But this is only stereotype. 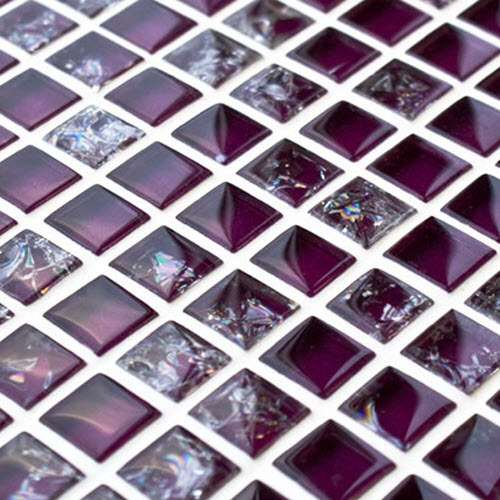 There are numerous shades of purple and not all of them are heavy and dark. 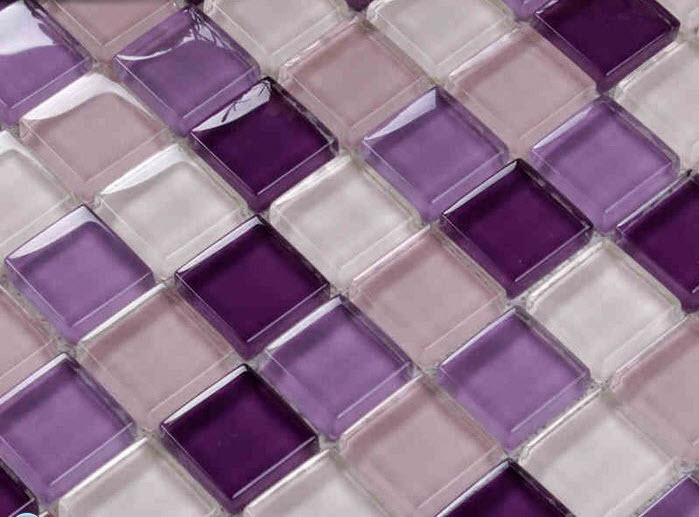 This color evokes imagination, relaxes and helps recover strength after hard day. 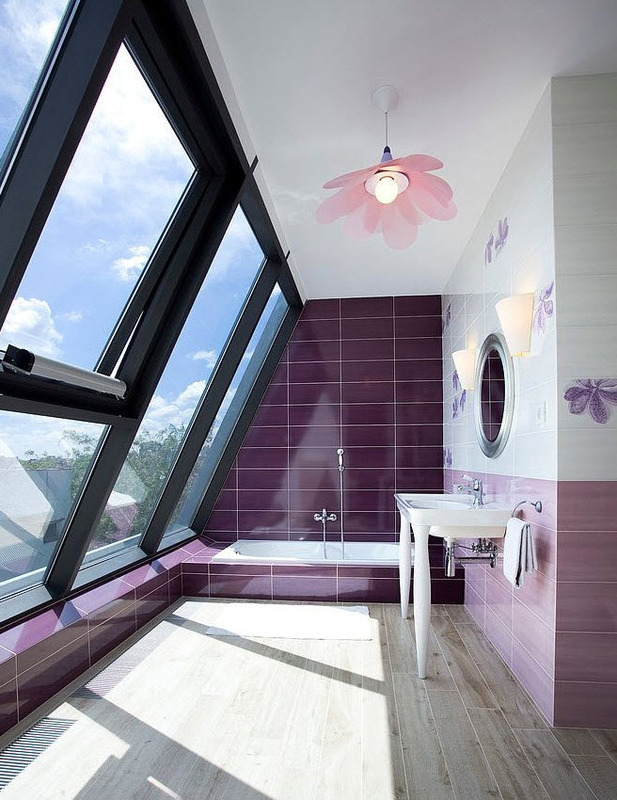 So, it is perfect for bathroom! 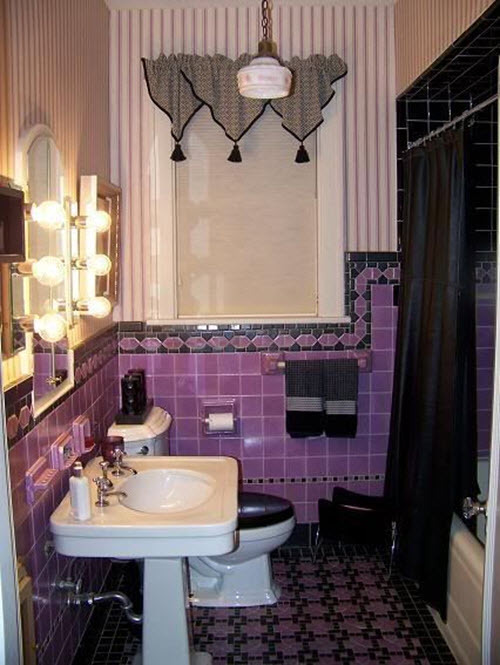 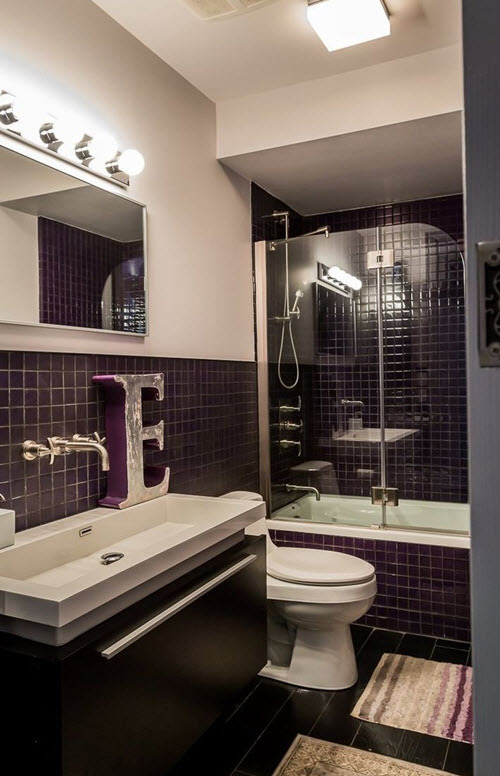 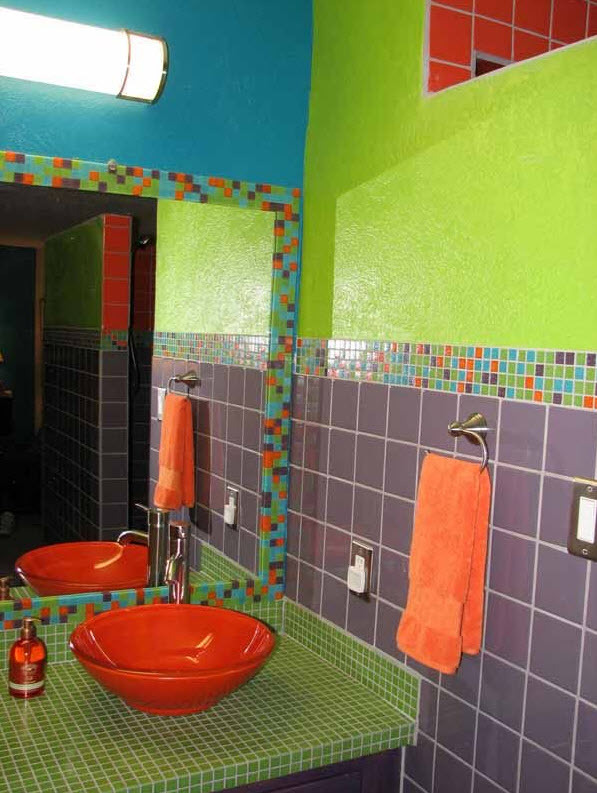 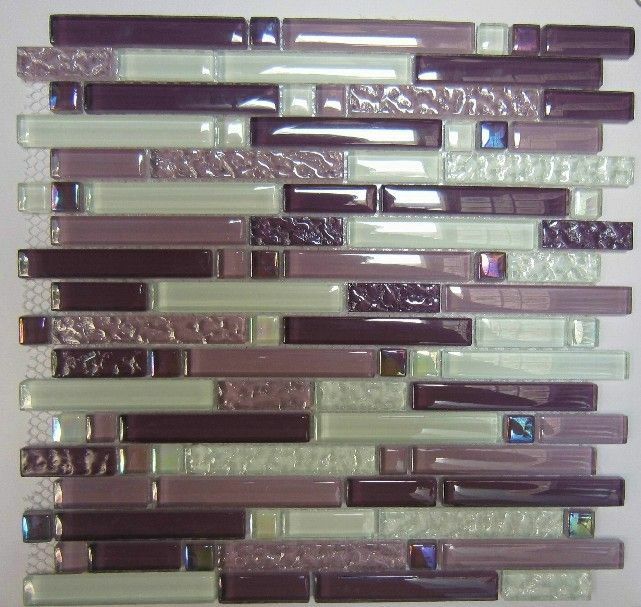 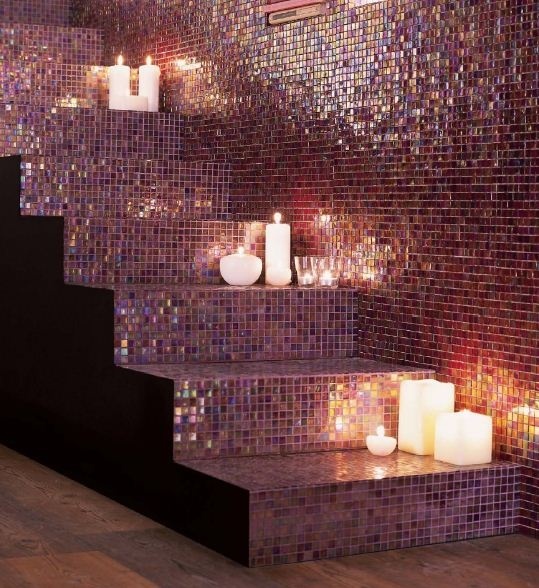 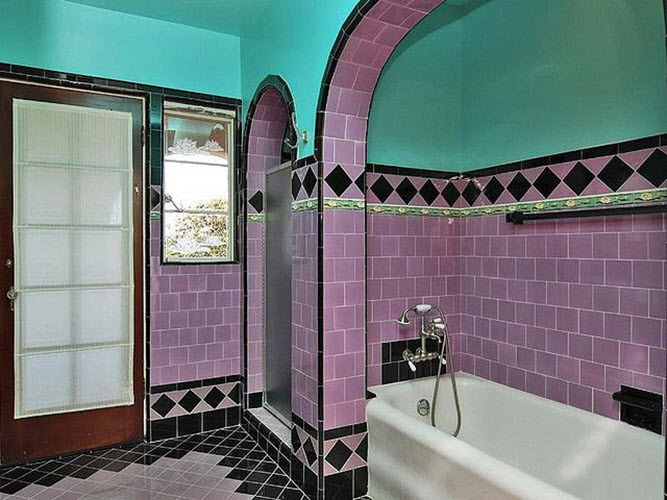 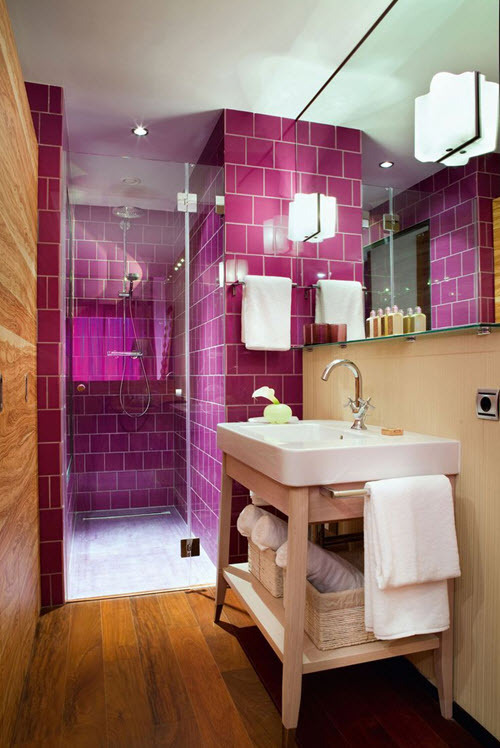 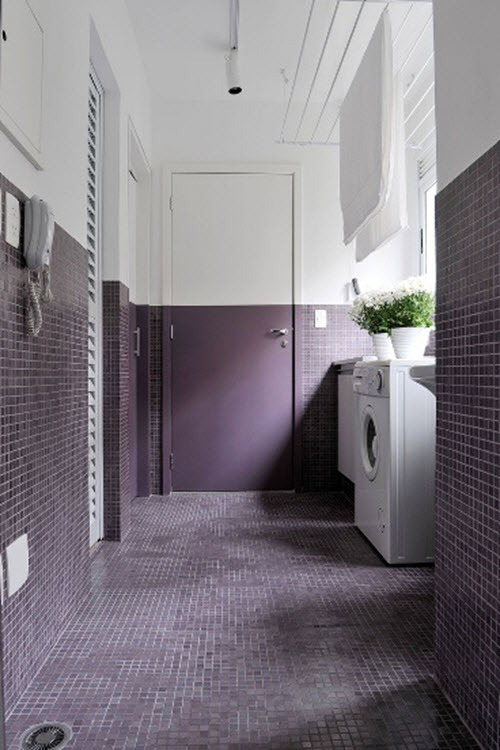 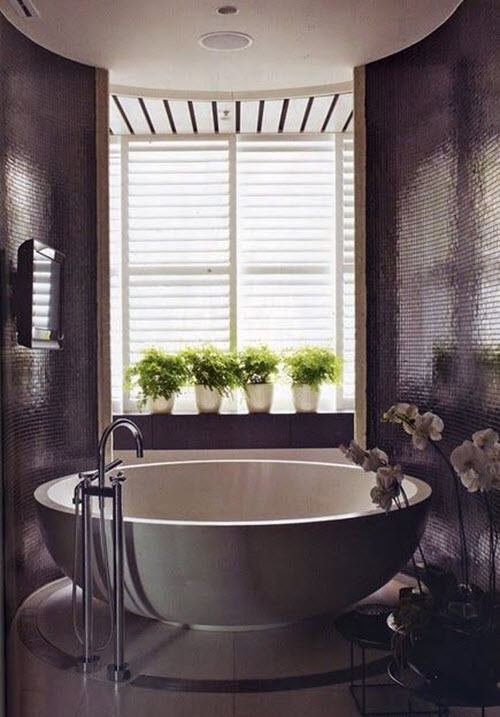 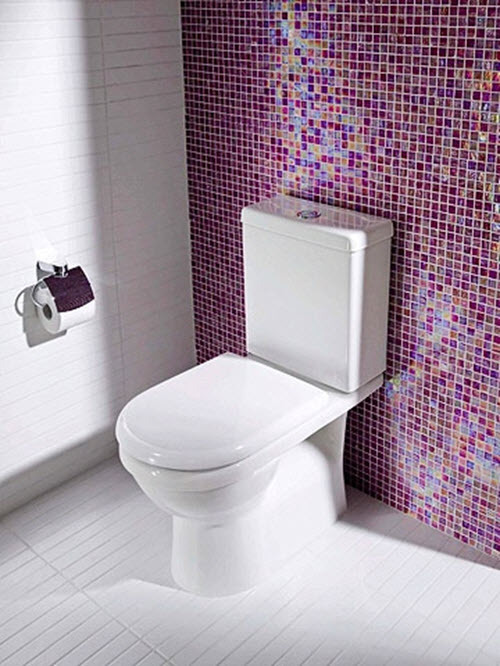 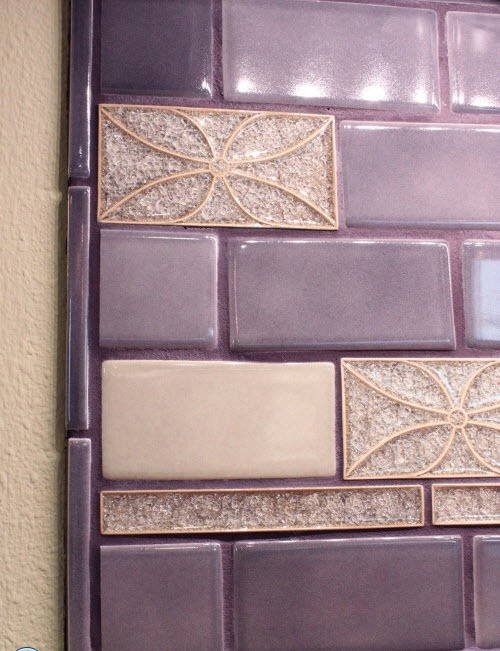 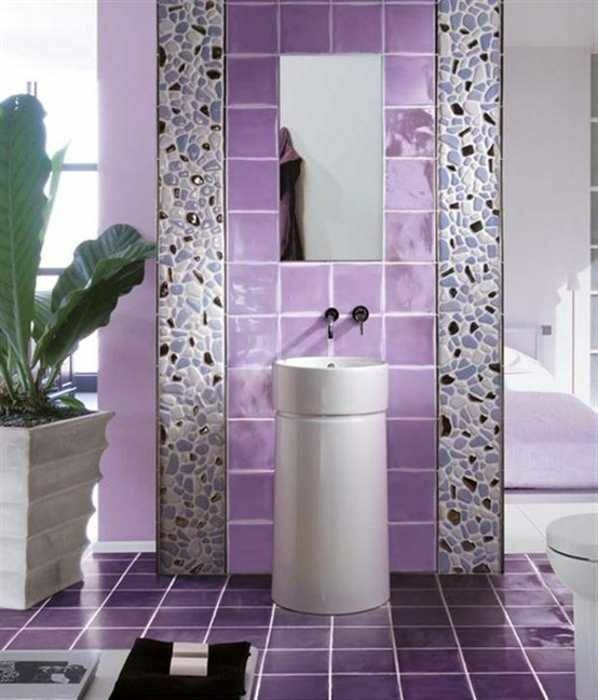 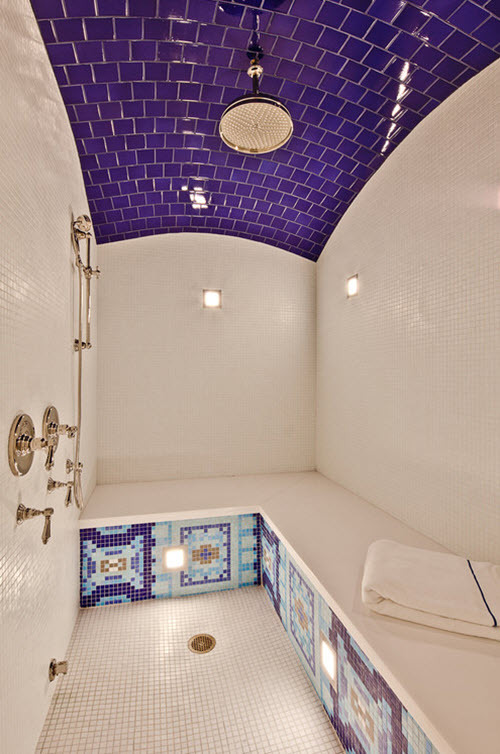 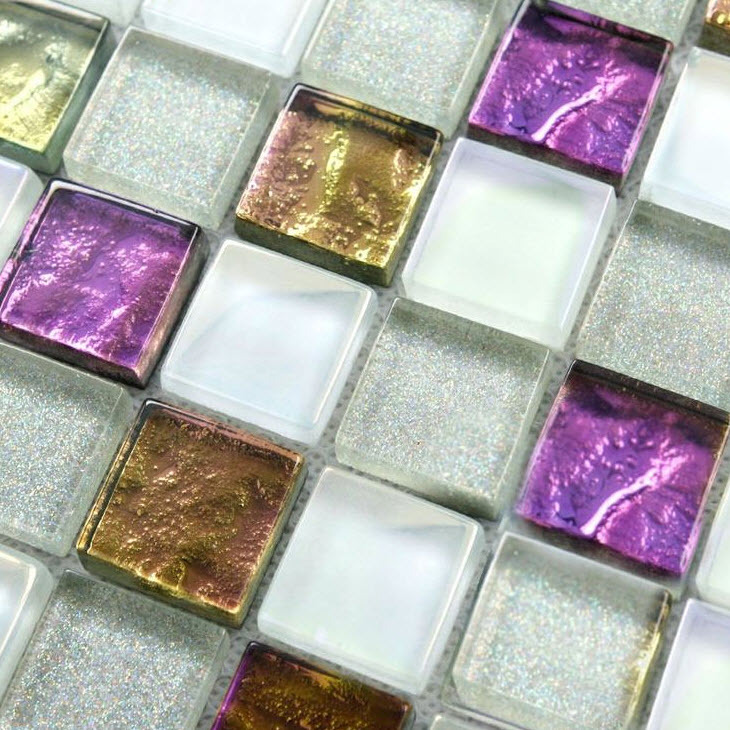 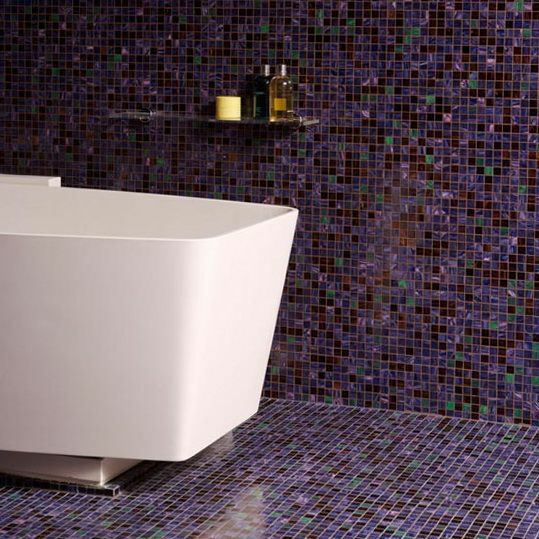 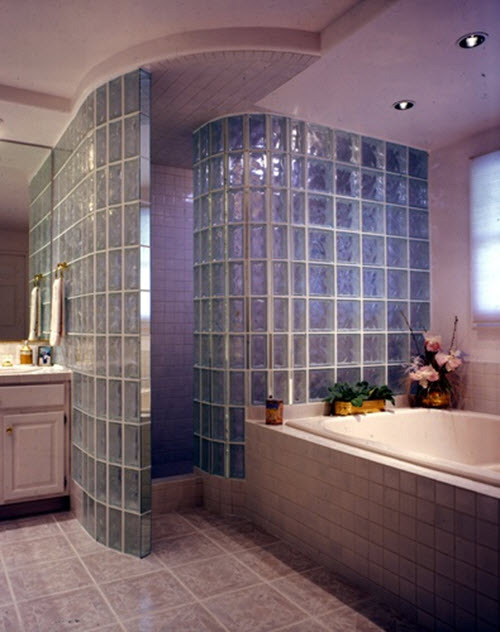 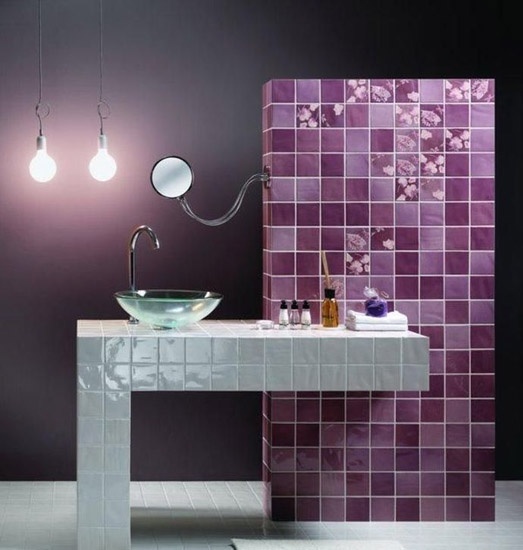 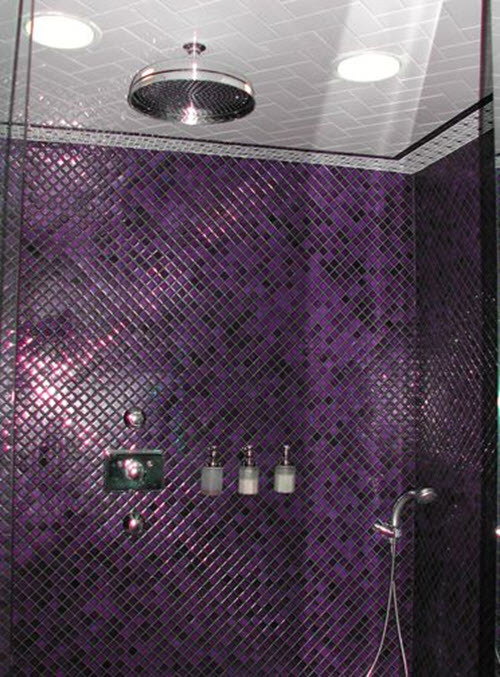 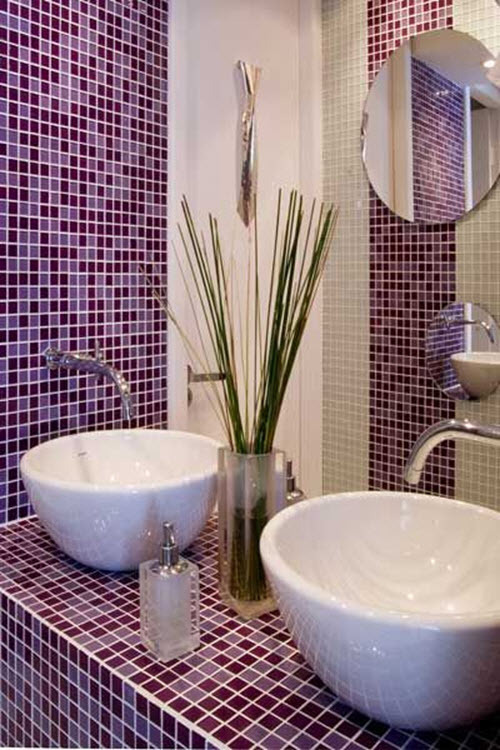 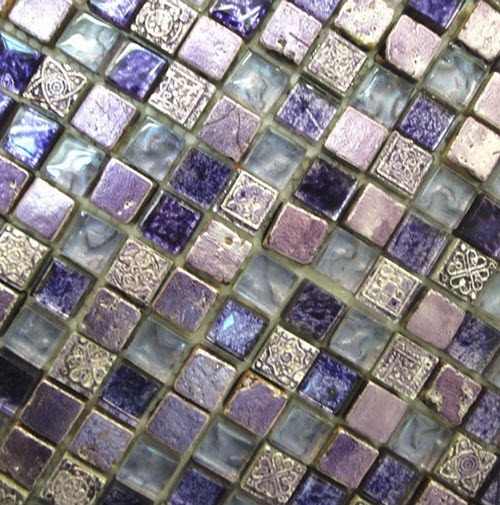 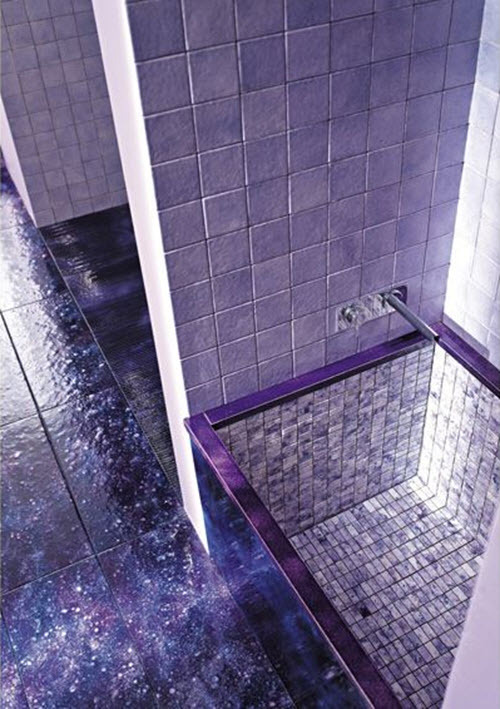 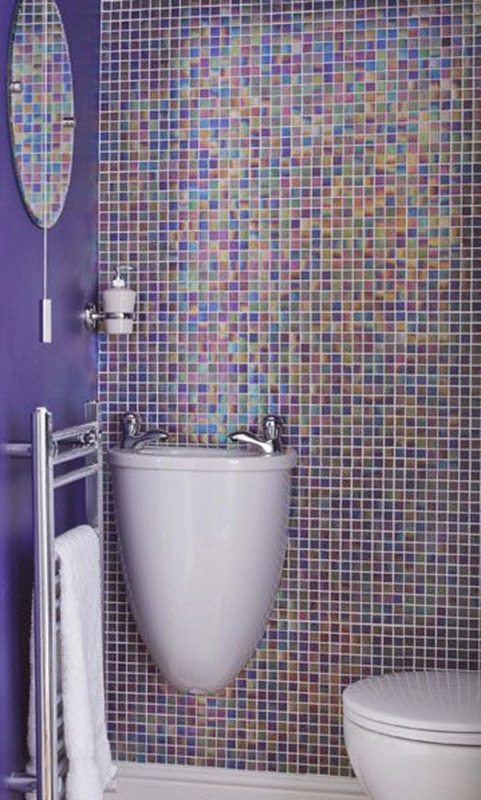 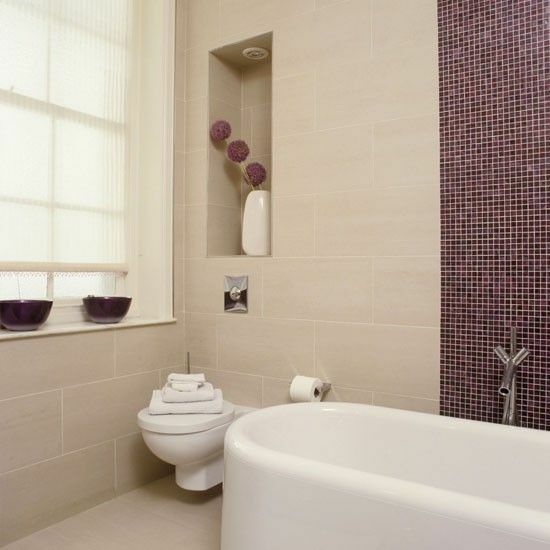 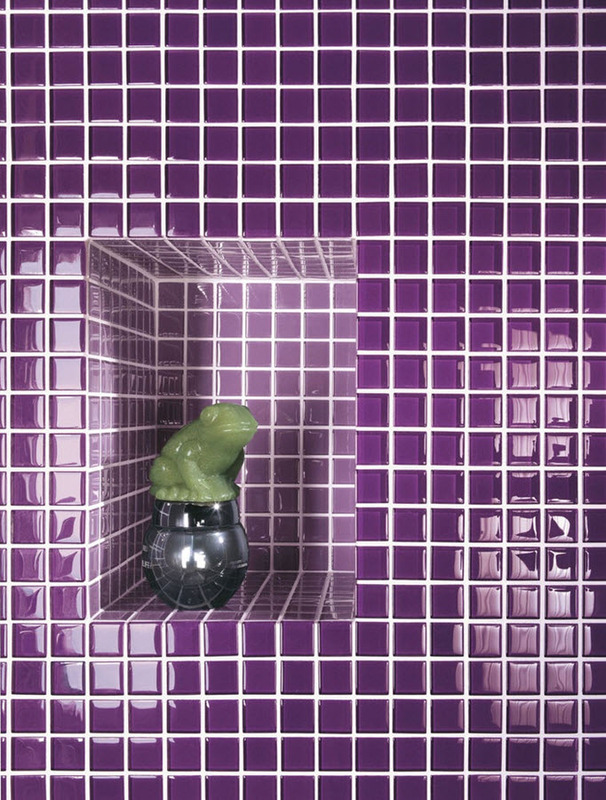 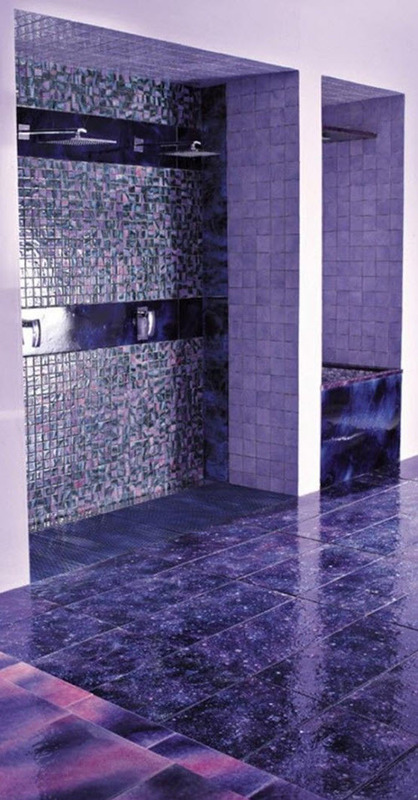 Nowadays, purple bathroom tile is getting more and more popular. 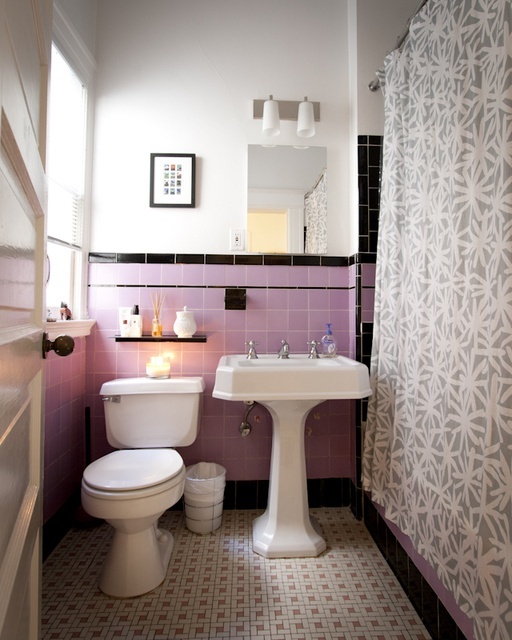 This color can be a really good replacement for blue shades that are getting boring over time. 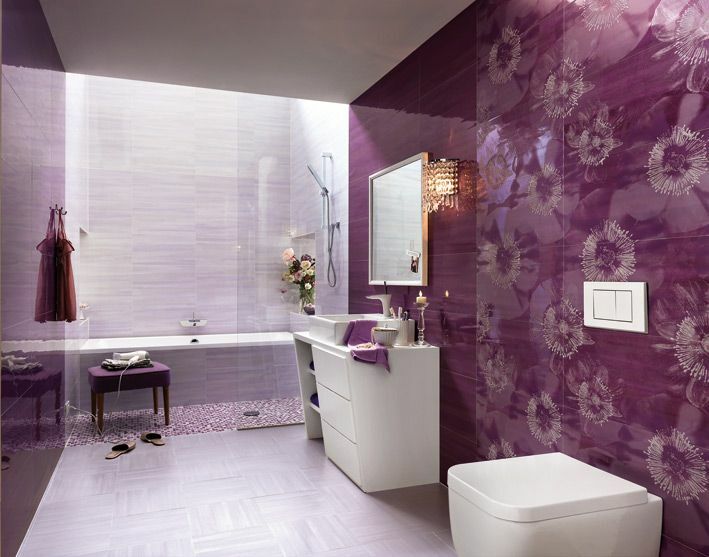 To create an atmosphere of comfort and relaxation you need to choose light shades: lavender, lilac, light purple. 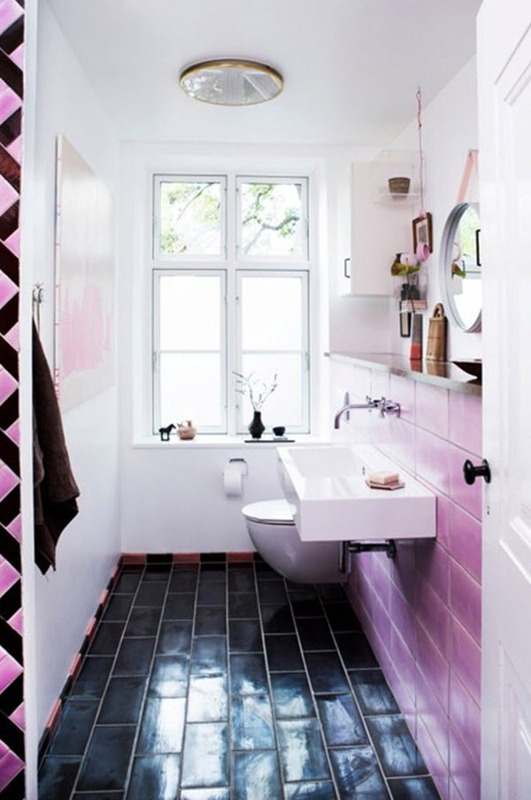 A successful idea is combination of these shades as well as creating a beautiful contrast with white, pink and light yellow. 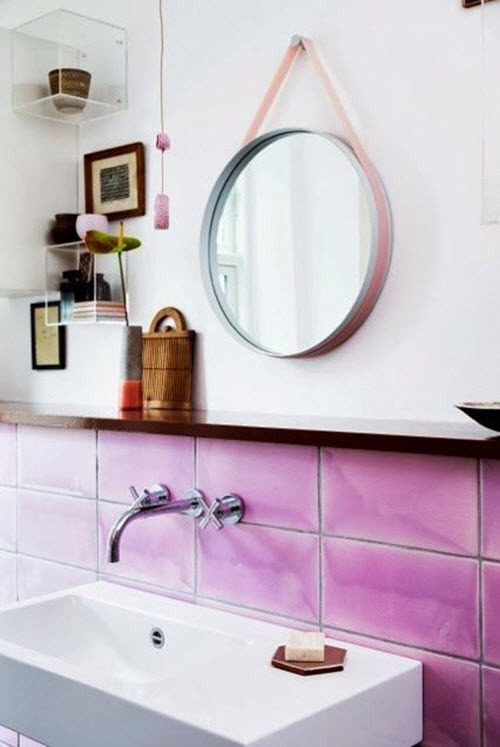 And if you still want your bathroom to remind you of sea and summer you need to chose different lilac shades, like blueberry. 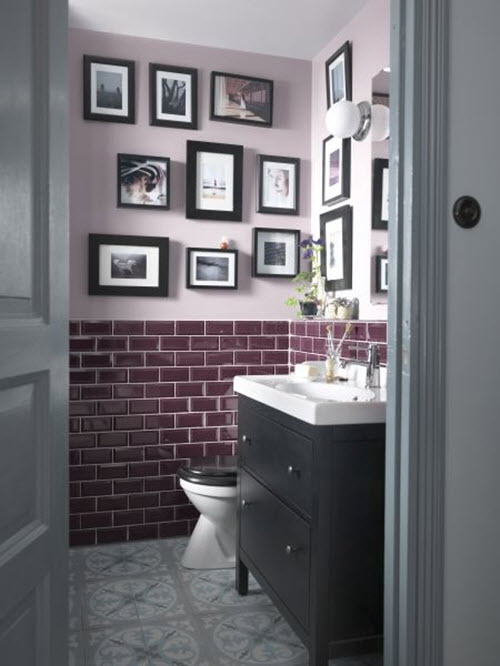 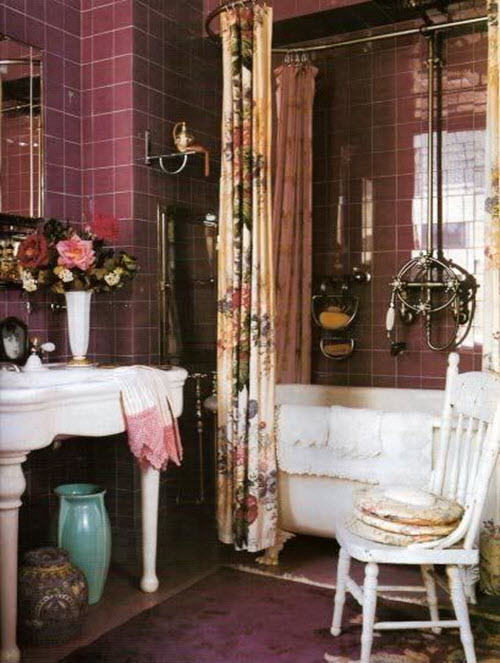 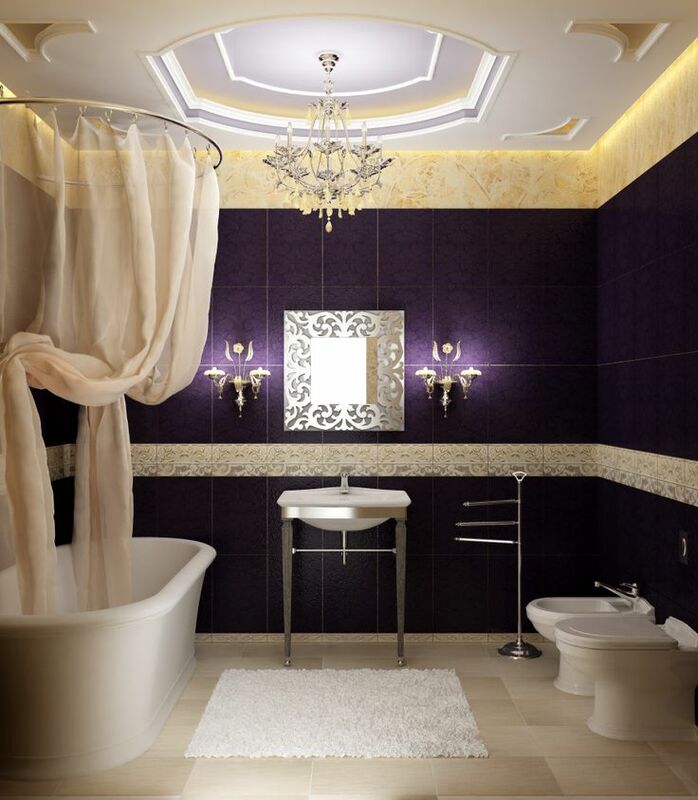 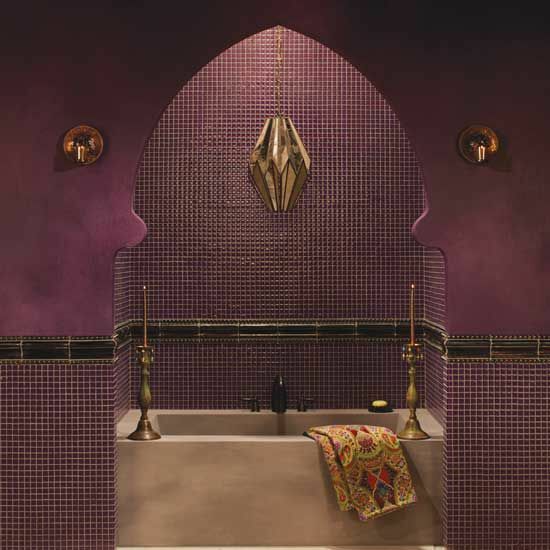 We hope our photo ideas will help you find the perfect combination of purple shades to create one-of-a-kind bathroom.